Detailed information and reviews of Los Angeles firms offering legal and financial services, accountants, insurance companies, mortgage companies and law firms. Post your requirements and receive no obligation price estimates and quotes. California › Los Angeles County › Los Angeles › 90007 2508 1/2 South Figueroa st. Personal Loan with Bad Credit - $20-50,000 Personal Loan to take care of minor debts, some medical bills & taxes. 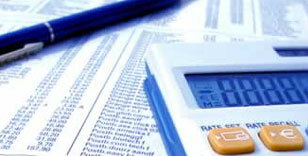 Owner - Prices for experienced book keepers in Los Angeles.